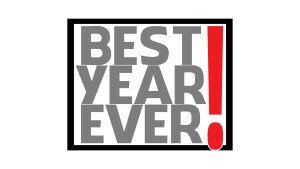 In our Best Year Ever series we address several key factors of having our best year ever. In fact, it’s more about having the best life ever. We speak to the necessity of service, small groups, physical health, discipleship, relational health and financial generosity. Our prayer is as you dig into each message you will truly experience your best life ever. You can also contact us today here to learn more. In the final message of our, Best Year Ever, series Pastor Paul speaks about the true blessing of walking in absolute generosity. In the fifth message of our, Best Year Ever, series Pastor Paul speaks about how the quality of our relationships. Specifically he entices towards forgiveness and discovered the freedom found in forgiveness. In the fourth message of our, Best Year Ever, series Pastor Paul speaks about the process of discipleship and specifically getting on the Growth Track at Junction Community Church. In the third message of our, Best Year Ever, series Pastor Paul speaks about obtaining the physical health necessary to have our best year ever. In the second message of our, Best Year Ever, series Pastor Paul addresses the necessity of living in community and engaging in the circle of a life giving small group. In the first message of our, Best Year Ever, series Pastor Paul addresses the necessity of giving our lives in service to others.